Starts the installation. 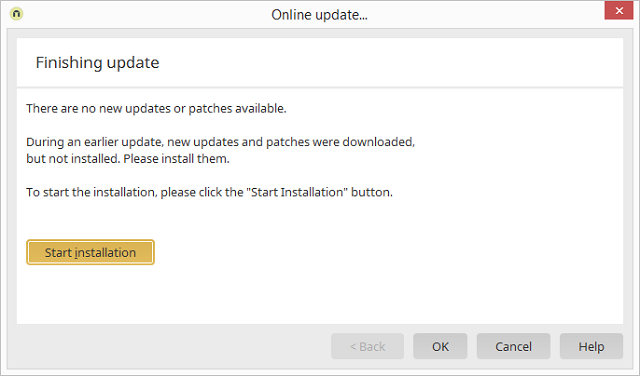 This button is shown if updates or patches are available for your system. If your system is up-to-date, the button will not be visible.